Due to recent changes to the Marriage Act, I am now required to call myself a "religious marriage celebrant" because I support traditional marriage. I do not perform religious ceremonies. Welcome to Lovelly Weddings and congratulations on your forthcoming marriage. Here at Lovelly Weddings we aim to give you just that - a truly lovely wedding, whatever that means to you. My name is Lynn Lovell and I am a quality, professional, authorised civil marriage celebrant, currently available in the Adelaide region and nearby areas of SA, within 100 KMS (negotiable). 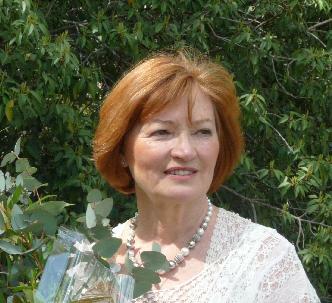 Would you like to have a chat with me face to face before deciding on your celebrant? We can arrange to meet at a mutually convienent place and get to know each other a little before you decide. No cost and no olbigation. Alternatively, you may like to phone me to discuss your plans and needs. Don't worry if you don't know where to begin, I am here to help you.